Your teeth may be hard, but they are far from indestructible. Every day wear and tear can break them down, but this can be prevented with good oral hygiene habits and regular visits to A Supa Smile. But, even with this level of care, some surprising habits can accelerate the normal rate of tooth decay or directly cause damage. Some everyday habits, and those we rarely think about, can chip teeth, cause impactions, damage gums, or cause other harm. At A Supa Smile we have put together a list of sometimes surprising habits that can harm your teeth. Cardiovascular exercise: Vigorous exercise has been proven to be good for almost all of the body — except perhaps the teeth, according to a surprising new study of athletes in the scandinavian Journal of Medicine & Science in Sports. The survey discovered that heavy training may contribute to dental problems. During their experimental runs, the amount of saliva that athletes produced progressively decreased. The athlete’s mouths became drier, whether they consumed water or other beverages or not. The saliva’s chemical composition also shifted, growing more alkaline as the workout continued. 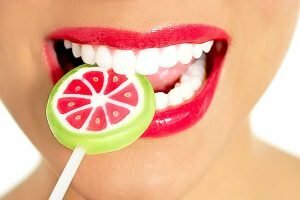 Excess alkalinity in saliva contributes to the development of tartar on teeth and other problems. Water exercise: If you swim often, you may find that you’re doing harm to your teeth. The chemicals that are put into swimming pools, particularly chlorine, are linked to enamel erosion. The Journal of the Canadian Dental Association reports that swimming in a pool with high chlorine content for just 34 weeks can cause a rapid increase in dental erosion and sensitivity. So, avoid highly chlorinated water and if you do swim try to keep excess water out of your mouth. Impact exercise: Exercise or sports with impacts can damage teeth, jaws, and soft tissue. But a good mouth-guard can protect against a lot of damage. When Australian boxer Jeff Horn won the WBO Welterweight championship, he was able to celebrate with a smile, because he had excellent mouth protection. If you plan to play any high impact sports, be like Jeff – stop by A Supa Smile and get a custom-fitted mouth-guard to protect your dental health! Don’t open lids or packets with your mouth! Your teeth should only be used for chewing and biting food – resist the temptation to use them as tools. It usually takes just a couple seconds more to ask for help unscrewing a bottle top or to fetch a pair of scissors to open a packet. It is always worth taking your time. Those few minutes can mean the difference between an open bottle and an open bottle and a cracked tooth. Fingernail chewing. This habit can chip teeth and cause jaw dysfunction. Pen or pencil chewing. We often unconsciously chew on pencils or bite objects when we are concentrating. This puts a lot of pressure on teeth, which can cause teeth to chip or fracture over time. Brushing too hard is harmful. Brushing your teeth too hard is known as overbrushing. This may happen to people who have the best intentions to keep their mouth clean, but use too much force or too hard of a toothbrush. Most people who are overbrushing have no idea that they’re doing it and have excellent dental habits. Although your teeth do need to be brushed twice a day, every day, overbrushing can harm your enamel and gums – and lead to dental problems. Using a hard-bristled toothbrush. Some people think the firmer the toothbrush, the better. This isn’t so, especially for older adults. With age, the gums push back and the roots of the teeth become exposed, often increasing sensitivity. The root is covered with cementum, which is worn away more easily than enamel. A brush with too-firm bristles may irritate the gums and lead to sensitive teeth. Brushing directly after meals. Brushing your teeth after eating can harm your tooth enamel. According to the mayo clinic, if you’ve consumed acidic foods, you should avoid brushing your teeth for at least 30 minutes. Foods containing citric acid, like oranges, grapefruits and lemons, weaken tooth enamel. Brushing too soon after eating them can damage the enamel in its weakened state. Consequently, it’s a good idea to brush your teeth before eating an acidic food and to drink a glass of water when you are finished to wash the acids away. Claim this offer today! Call us on (03) 9723 0703 or book your appointment online.